The MI Innovation Challenge (IC) on Converting Sunlight (IC5) is bringing together governments, academics and the private sector to achieve the performance breakthroughs and cost reductions needed to deploy solar fuel technologies at large scale. The process is inspired by nature, where photosynthesis creates a solar fuel from sunlight, water and carbon dioxide. Funding opportunities in this area are increasing, including the European Commission’s Prize for Artificial Photosynthesis and the recently published German 7th Energy Research Programme, find out more below. Solar energy’s potential contribution to a clean energy future is far from being fully exploited. The production of clean fuels from sunlight has the potential to not only mitigate climate change but also to enhance energy security and provide opportunities for economic development. Despite the potential opportunity, the global collaborative activity in this field is currently limited. The IC5 members are collaborating to exploit the significant opportunity of using sunlight to produce carbon-neutral fuels (such as hydrogen) and to develop energy storage chemicals. The interest in increasing international collaboration was clearly conveyed at the Storing Solar Energy in Chemical Bonds Conference in the US in January this year. Here IC members hosted a side event where stakeholders were asked to specify priority areas for collaboration. A technology development roadmap was considered a useful tool for coordinating future collaboration while collaboration and networking were also considered vital. The IC co-leads are therefore discussing opportunities to cooperate with representative organisations in the sector such as the Solar Fuels Institute and with global mechanisms such as the International Energy Agency’s Technology Collaboration Programmes. The visibility of this under-exploited area of energy generation is also being enhanced at policy and Ministerial level through the activity of the IC members. The Challenge is co-led by the European Commission and Germany, with 19 other MI members as participants. The IC members are supporting a range of ongoing and planned activity including funding opportunities, events and cooperation with other stakeholders. In December 2017 the European Commission launched its Prize for Artificial Photosynthesis at the One Planet Summit in Paris. Contestants are competing for a €5 million prize by building fully functional, experimental prototype devices of a fuel production system, integrating the entire artificial photosynthesis process from light capture to fuel production. The deadline for applications is 3 February 2021. Follow progress at #EICHorizonPrize. The Department of Biotechnology and Department of Science and technology and Ministry of Science and Technology in India have recently held a $6 million Call for Proposals for joint Research & Development (R&D) with member MI countries in the field of Converting Sunlight. The recently updated Work Programme for Horizon 2020, the European Union’s Research and Innovation programme, includes a topic aligned with IC5 that includes a requirement to include at least one non-EU MI member in the proposed consortium. The “Converting Sunlight to storable chemical energy” topic has a budget of €6 million and a deadline of 27 August 2019. Further opportunities to support collaborative R&D between IC members are being explored with the aim of achieving the target, set in the Delivering the MI Action Plan document published at MI-3, of at least three synchronised funding calls in topics relevant to the challenge. For example, nternational cooperation on artificial photosynthesis and solar fuels is a focus of the recently published 7th Energy Research Programme of the German Federal Government. The IC members are promoting the opportunity represented by solar fuel and the work of the IC at events including the 6th International Symposium on Solar Fuels and Solar Cells in Dalian, China in October 2018 where co-lead Philippe Schild will make a presentation. 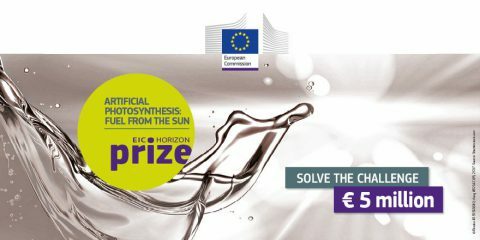 The co-leads encourage interested parties to find out more about the Artificial Photosynthesis prize and the Horizon 2020 Call for Proposals. Please contact Philippe Schild, from the European Commission, to find out more about any of the activities described above or to share ideas on future collaboration opportunities.